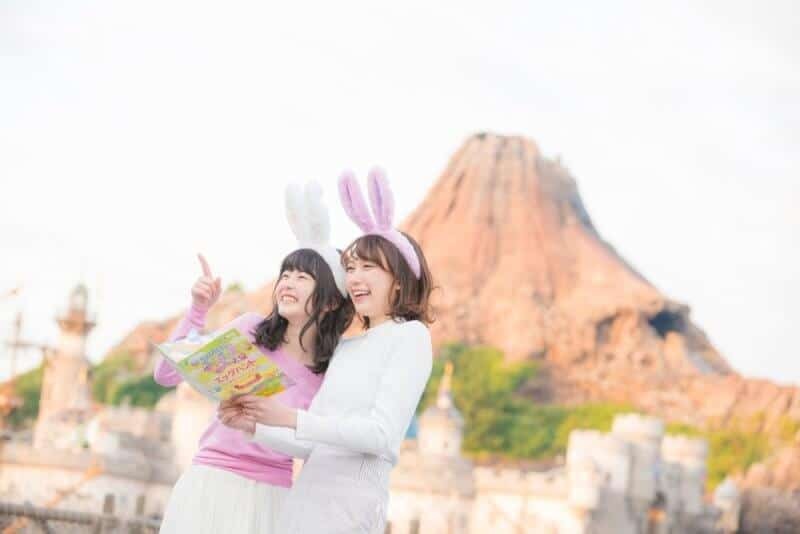 Disney’s Easter starts March 27 through June 6, 2018, at Tokyo DisneySea! We’ll see the return of the daytime harbor show Fashionable Easter, merchandise, food, decorations, and a new Easter Egg Hunt. Here are the highlights of this year’s event. For full details see the OLC Group Press Release. There is no Easter event this year at Tokyo Disneyland because of the start of the Tokyo Disney Resort 35th Anniversary “Happiest Celebration!” on April 15, 2018, through March 25, 2019. Check out the merchandise and food for Disney’s Easter! Make sure you read our guide to Disney’s Easter to help plan your trip! Photo by Duy Phan Photography. The daytime show Fashionable Easter makes a comeback for the 3rd year in a row showing off Mickey and Friends spring fashions. 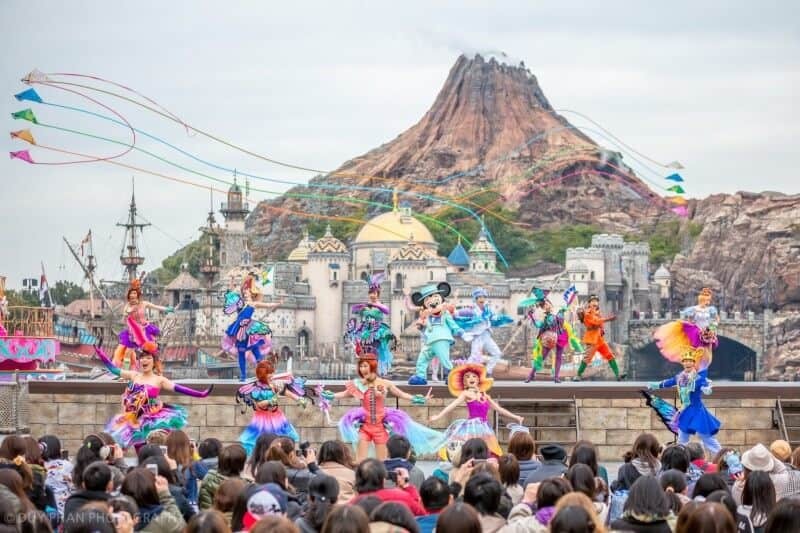 Also appearing in the show are artists from the American Waterfront, Lost River Delta, Mermaid Lagoon, and Mysterious Island themed ports of Tokyo DisneySea. New this year is the addition of the theme song for the Tokyo Disney Resort 35th “Happiest Celebration!” mixed with the main show music. 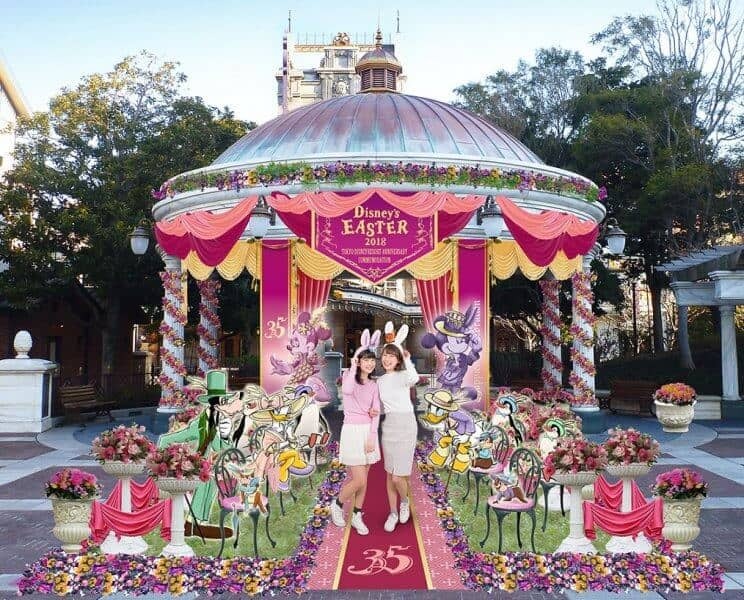 For the first time this year, a special Easter Egg hunt is available for guests at a cost of ¥900 ($8USD). Guests use hints on the map to find special Easter Eggs throughout the park. Guests who find all the eggs get an exclusive Bunny-Ear hair clip, that’s not sold anywhere else. The clip is designed for the special Bunny Ear Headbands. Ask a Cast Member during the event where to buy your map! 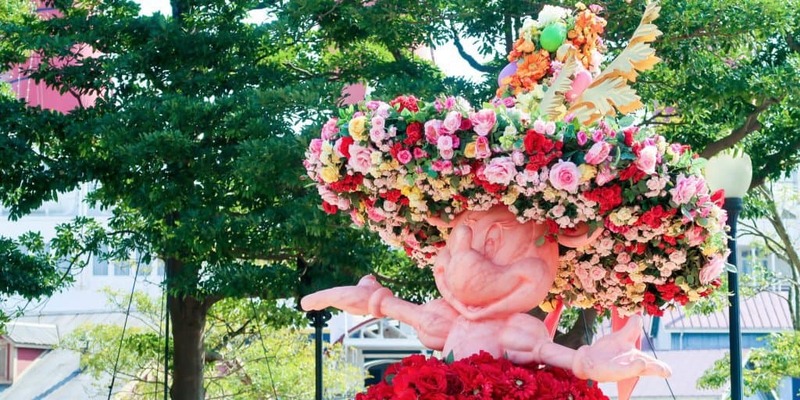 A quick summary of Disney’s Easter at Tokyo DisneySea. 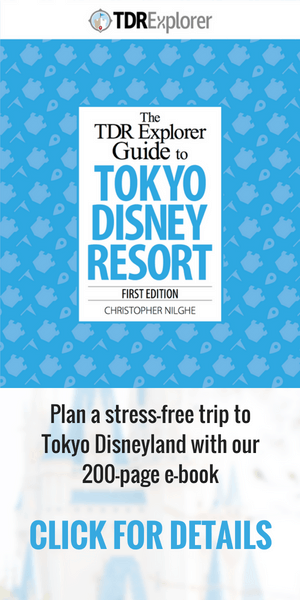 Read our guide to Easter at Tokyo Disney Resort for our best tips and advice. 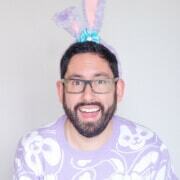 To get an idea of what type of merchandise is available for Easter, watch our video below. The merchandise is typically the same but with updated designs. It’ll help you get an idea of prices. Select photos from the OLC Group Press Release.